5 PIECES OF ADVICE FOR NEW BLOGGERS ON THE SCENE, OR FUTURE ONES. So you want to tell the world about your love for candles and cats, all you really need is a hosting website, a catchy name and some creativity. I've been blogging for just over two years now and still feel like I'm learning and still not doing expected 'blogger' things, like making perfect flatlays and making my Instagram look like Urban Outfitters vomited all over it. 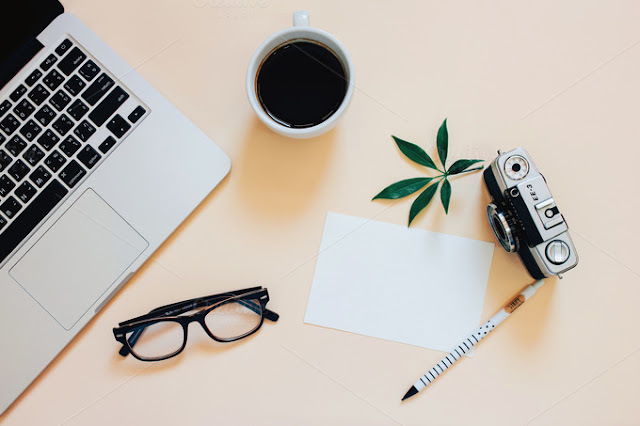 I'm by no means an expert and there are so many bloggers out there who are making quite a bit of cash from their blogs and currently sitting front row at fashion week, these are just some basic things I think you need to do in order to push your blog off the ground in the first place. 1. Make it look as professional as possible. I've never purchased a blog 'theme' but spent ages toggling with the blogging template, adding html's and widgets to customise it and make it me. I think so many blogs nowadays look identical and none of them really stand out from one another, then there are people like dorkfaceblog who's page I would recognise instantly - so much pink! I'd also recommend buying a blog domain, as brands are more likely to take you seriously if you seem established and don't have wordpress/blogger etc. in your webpage link. 2. Try not to limit your self. Finding a niche is great, but the blogging world is pretty saturated as it is. The key is to writing about stuff you're actually passionate about and not just because it's what everyone is doing. I have a style section on my blog, for the odd post here and there - but I spend most of my days in leggings and trainers so they would make for very dull posts. You can tell when a blogger is just writing for the sake of it and when they are actually genuinely interested in what they're saying. 3. Free stuff is nice, but you need to work for it. If I had a free MK bag for every time I got a message saying "I might start a blog so I can get free stuff too" I'd be able to open up a bloody shop. Getting stuff to review is fun and trying out new products is great, but I was writing for about 6 months before I got my first brand email about reviewing their products! A brand is more likely to take you seriously when you've at least written a handful of posts before contacting them. 4. Social media is essential for growing. I luckily had a few thousand followers on my main twitter account (gianamariex) before I started my blog, so it was great to have a platform there to promote my blog in the first place. I now have a twitter account dedicated to my blog (teawithgi) and twitter is a great way to follow other bloggers, interact with them and promote your stuff. I definitely recommend scheduling tweets to promote your posts, just don't make your feed seem like spam! Comment on other blogs, interact with your audience on Instagram and stay relatable! 5. Stay humble and true to yourself. Let's say your post goes viral over night and you're suddenly being bombarded with followers and emails from people looking to collaborate with you. Make sure you take the time to still reply to your followers or 'fans' and don't turn your blog into an #ad mess. I get emails asking to pay me £100 to write a post about car tires - the money would be nice but I don't even drive so telling you guys how great these wheels are would be pretty deceitful of me and for my llanito readers, most of you would react with a 'por la cara'. 6* Your blog is your business. I mean this in that your blog is your space to showcase what you want to share with the world, or with yourself to look back on. As long as you're not attacking anyone personally then don't be afraid to have a voice and to share your opinions/stories. Secondly, building your blog brand takes time, so don't be afraid to call out a brand if they're being unfair or want you to do all this free promo in exchange for 'experience' - you deserve to be taken seriously. I hope this post has been somewhat useful for anyone who's just started a blog or thinking of doing so! The world of blogging is fun and if you need any particular advice on starting up a blog etc. I'm only a tweet/DM/message away!